I made another dragon! 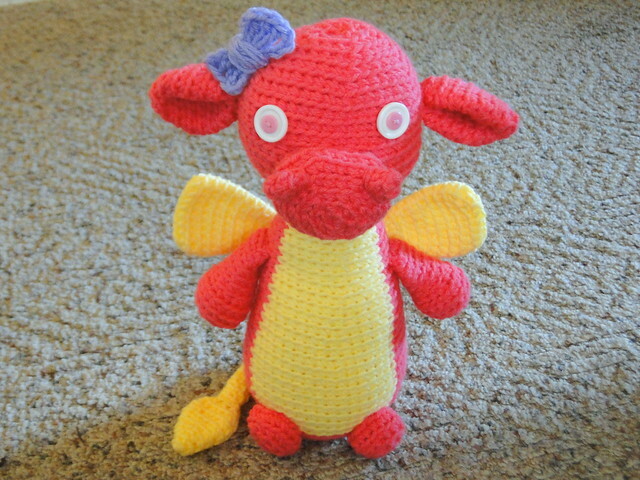 This time a girly dragon for my daughter. This one pretty much flew off the hooks! I gave her some different features from Mr. Dragon and I added a little bow to her head. I used this pattern for the bow, super simple. Her eyes are my favorite part though! 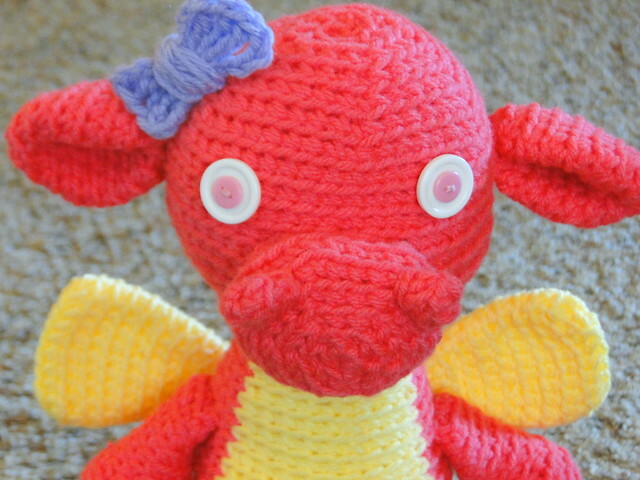 My daughter wanted her dragon to have pink eyes but I wasn't sure how I was going to accomplish it with the dragon being such a bright pink. In the end I went with buttons for the eyes, I used small pink for the center with a bigger white behind them, I love how it looks! I got the buttons at Michaels in the $1 section ($1.50 section here). I love how the girly one turned out! 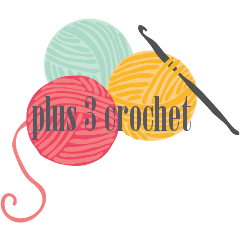 I have to get onto making a third one for my oldest, she's feeling left out and wants one too. She is adorable, your little girl is going to LOVE her! Both of these turned out so cute! This one is showing up as orange on my computer, but the eyes are pink. That bow is a great idea for a more girlie one! Wonderful job, as always. Your dragons are so cute! I love the eyes on the girl one. Your dragons are so sweet! No wonder your oldest wants one too now!! Super cute. I love the button eyes!